The Philippines is a hot and humid country. 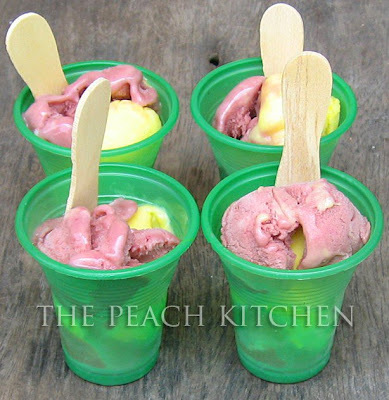 One of the cheap ways to cool down on a hot afternoon is to wait for the “ice cream man” or “mamang sorbetero”. 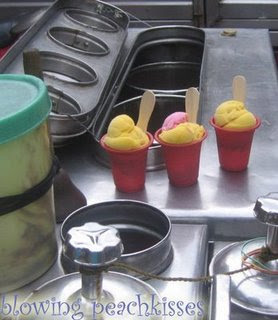 The ice cream man usually roams the street with a colorfully painted wooden carts or stainless cart peddling dirty ice creamor “Sorbetes”. The wooden cart has two large wooden wheels at the front part to easily push the cart. 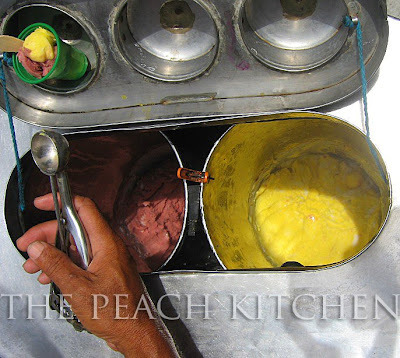 Well, Dirty Ice Cream isn’t really dirty.It is called as such because of the manner that it’s sold: in the street and exposed to dirt and pollution. 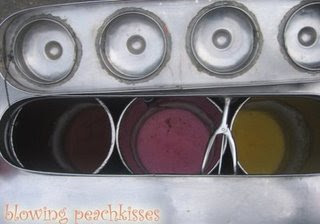 Usually, the cart can accommodate three flavors, each in a large metal canister. 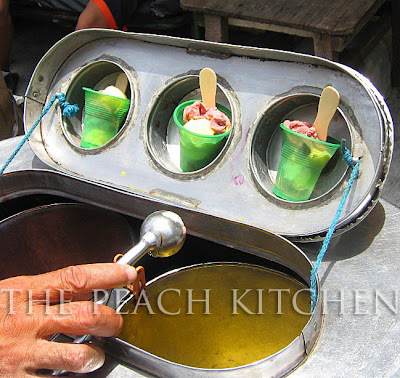 It is stuffed with shaved ice sprinkled with salt to produce a lower temperature around the metal canisters and keep the sorbetes frozen longer. Peddlers call the customers attention by ringing a small handheld bell. 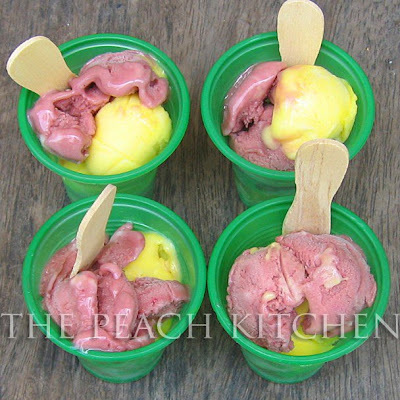 Usually, there are three options when you buy dirty ice cream. It may be served in a wafer cone, plastic cup or a soft bun. These cups are sold for P5.00 ($0.10) each. The flavors are chocolate and cheese. 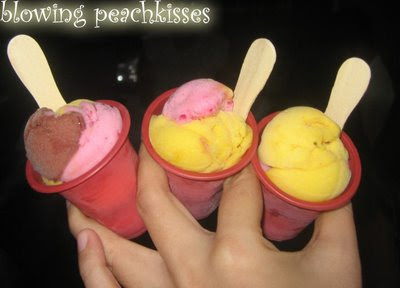 I have some photos of Dirty Ice Cream from a few months months ago which I also wanna share with you.. There are three flavors, Starwberry, Cheese and chocolate. This is what I brought for . I’ll do my rounds tomorrow,it’s late here. Come see other participants at Kitchen Bouquet. How to make one? What are the ingredients and procedure? I’m so sorry hindi po kami nagbebenta ng wooden cart. 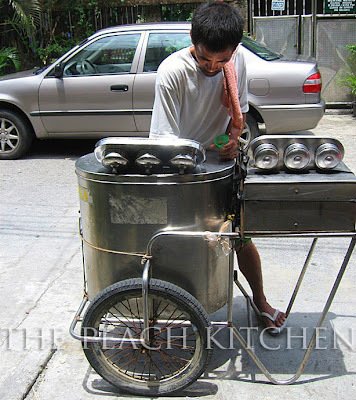 Wala po kami sa ice cream business. Thank you.